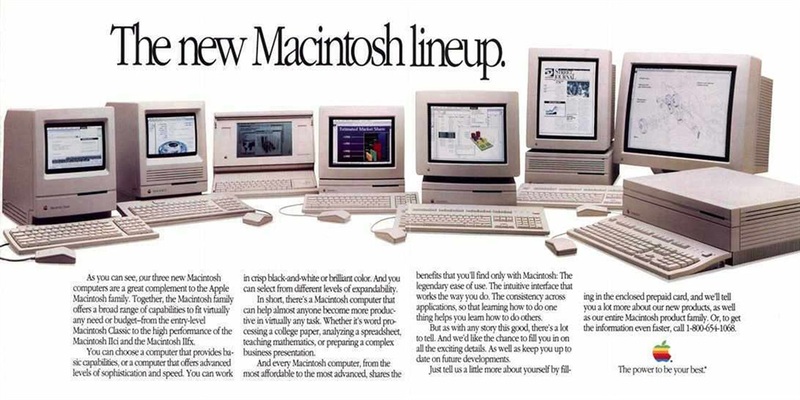 I recently stumbled on an old Apple ad from 1993 that advertised Macs as a more affordable computer option. 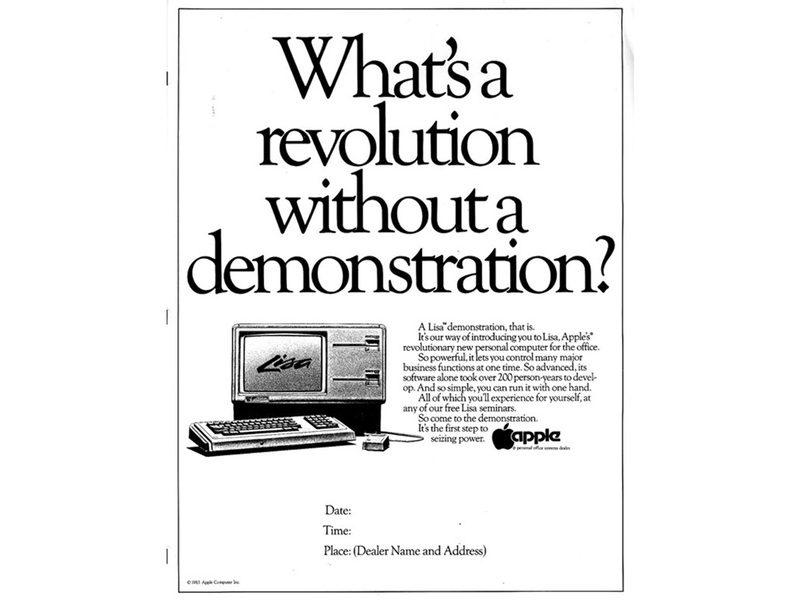 That's clearly not the case anymore, as Apple computers tend to be more expensive than its competition these days. 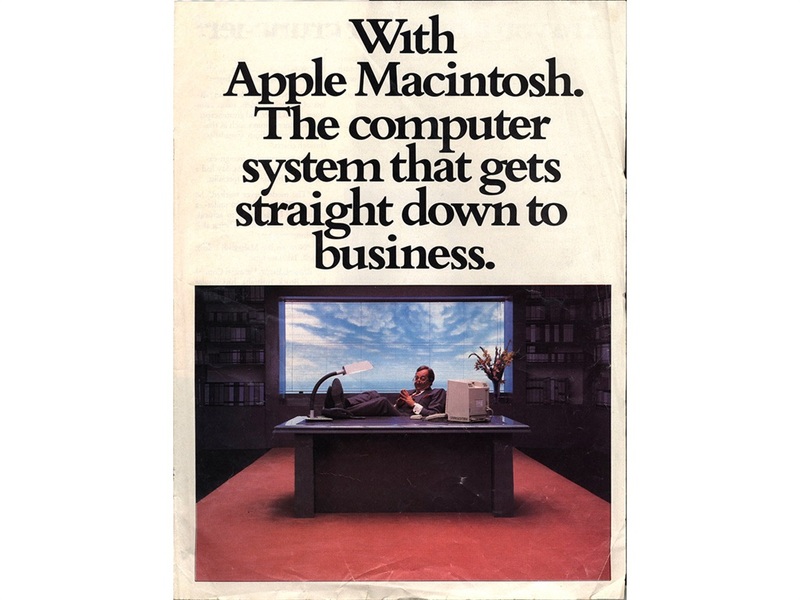 Curious to find out how else Apple as a company and its products differed from the Apple of today, I found an archive of old Apple ads and documentation on a site called macmothership.com. 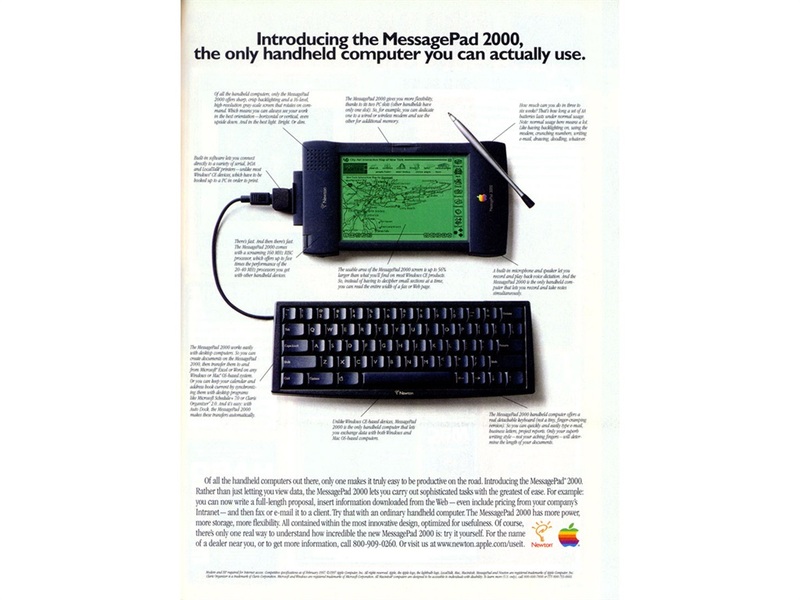 Check out some old Apple ads and brochures that show how similar and different the company was back in the day. One of Apple's first ads from the 1970s. 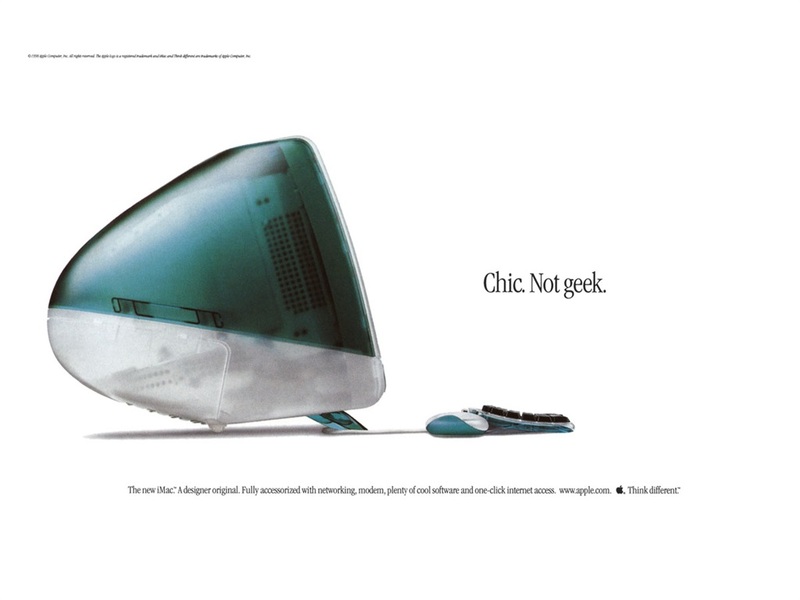 Today's Mac ads have come a long way. 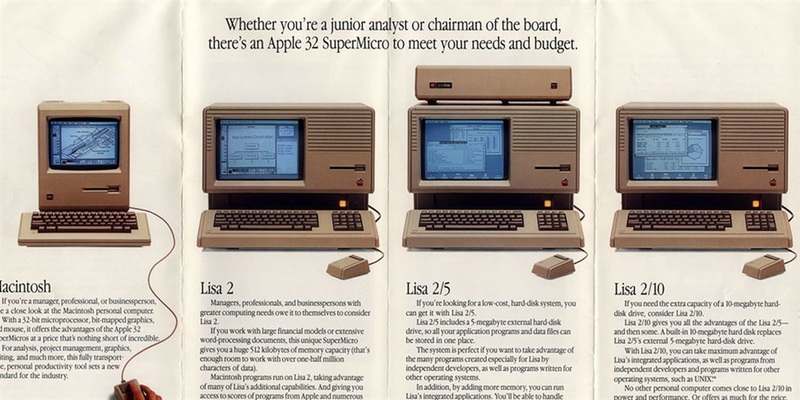 Apple tried to appeal to the business crowd back in the mid 1980s. 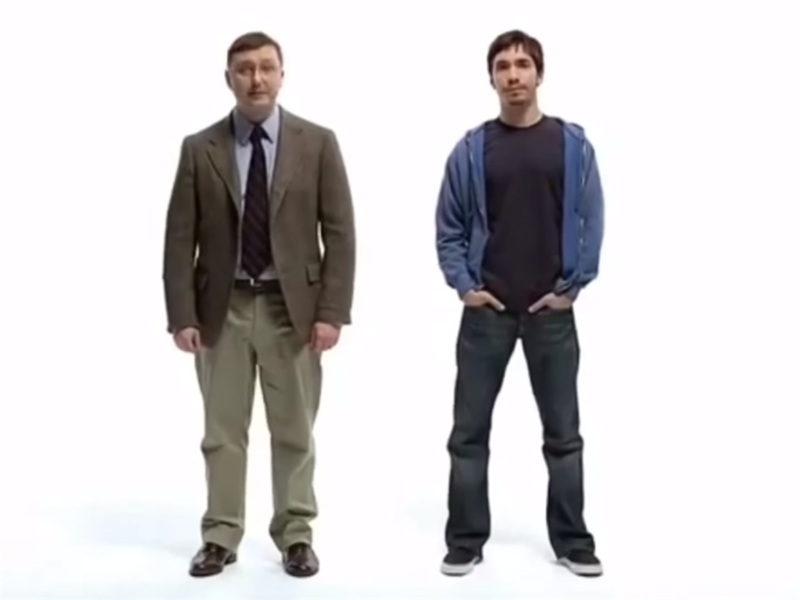 It eventually started to distance itself from the business market — or at least appeal to a non-business crowd — with its "Get a Mac" campaign starting in 2006. 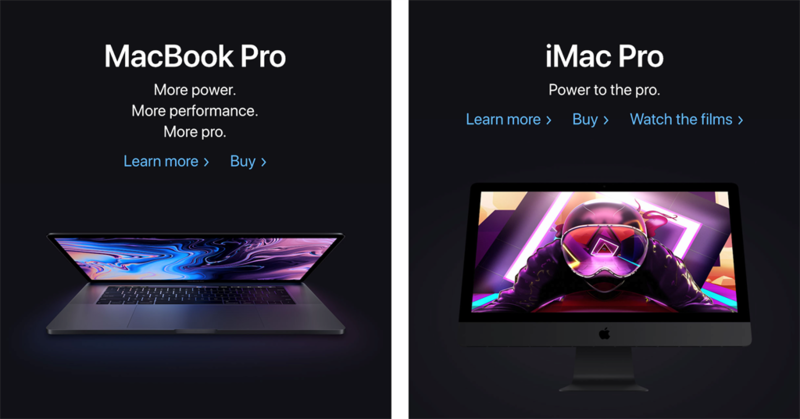 In 2018, Macs cost more than competing Windows 10 laptops more often than not. And whether they can "do more" is up for debate. These days, Macs are rather a luxury that run a simpler and cleaner operating system compared to Windows 10 that's more accessible to a wider variety of people. Apple used to offer in-office demonstrations. Back in the day when computers weren't as widely used and their use as business machines weren't as obvious, computer makers had to pitch to sell their devices. 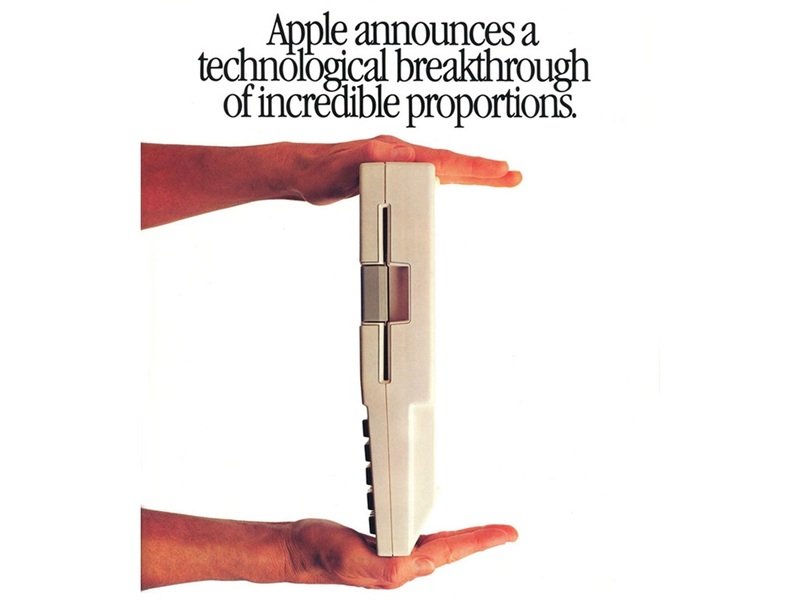 It was no different for Apple back in 1983. A lot of Apple's marketing used to focus on people who hadn't realized the potential of computers yet, or who thought they were too difficult to use. 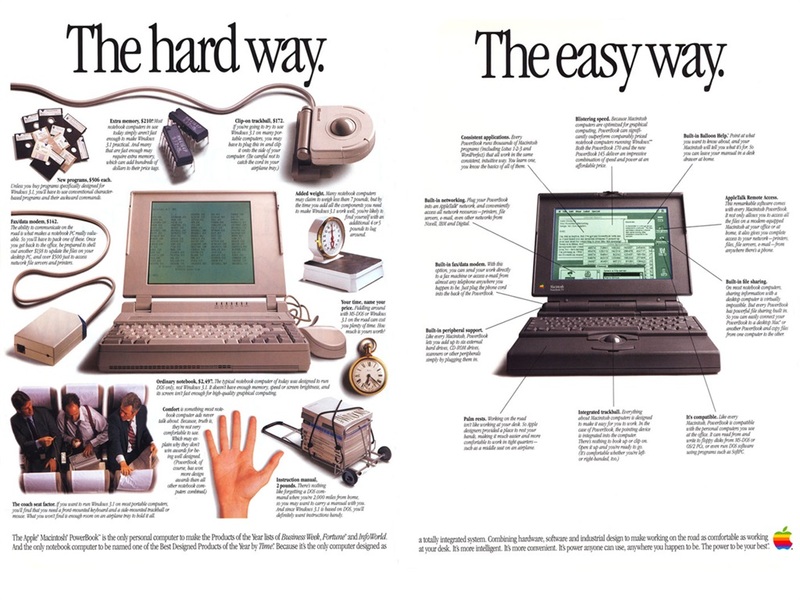 Later, Apple would also make computers with more appealing designs compared to the dreary "tech beige" colour themes that most computers had in the early late 1990s. Today, it's more about sleek minimalist design, features, power, and functionality, and the company appeals to the "pro" market on top of the regular computer user. 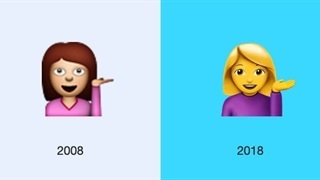 Apple used to be all about simplicity, and it still is. But it's not as clear cut with the its most recent laptops. 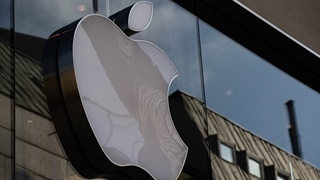 Much of Apple's success with its devices had to do with their simplicity. They were - and still are - simpler and cleaner to use than competing devices, which tend to appeal to a wide range of people. Recently, when Apple switched to all-USB-C ports on its MacBook Pros, the simplicity is fading. USB-C is indeed designed to make things easier and better. It allows you to plug everything you'd usually plug into your computer into one single port instead of having a bunch of connected accessories sticking out from all sides of your laptop. But the company was arguably too aggressive with switching to USB-C, as many people aren't ready to make the switch, especially when it entails buying dongles, adapters, and expensive docking stations to benefit from it. In many respects, today's Apple is also very similar to the Apple of old. The tag lines have barely changed. The company has always bragged with catchy phrases about how it makes sleek computers, even in 1984. Apple tried to make handheld devices that could be used like computers, much like it does today with the iPad. Apple has been making handheld devices that are meant to work like computers for some time now. Recently, it's been trying to convince us that iPads can be laptop replacements. 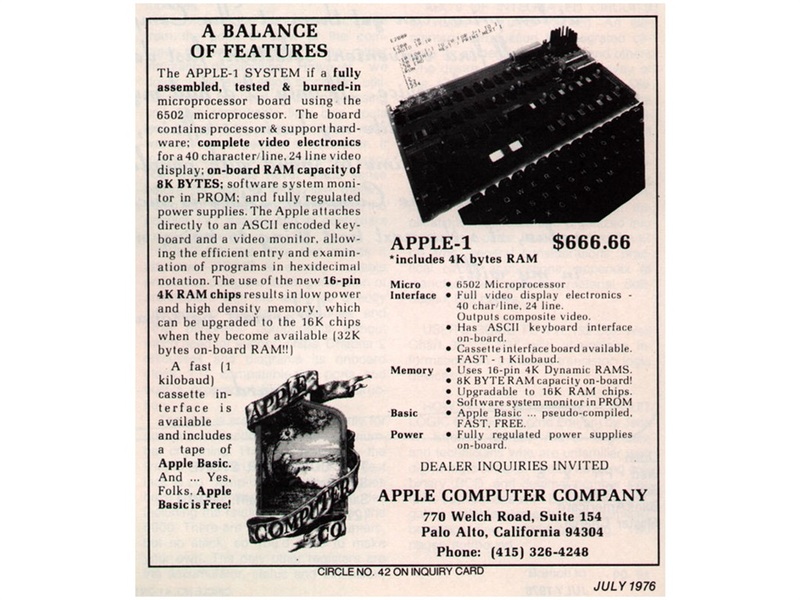 There are hundreds more old Apple ads and brochures on macmothership.com. 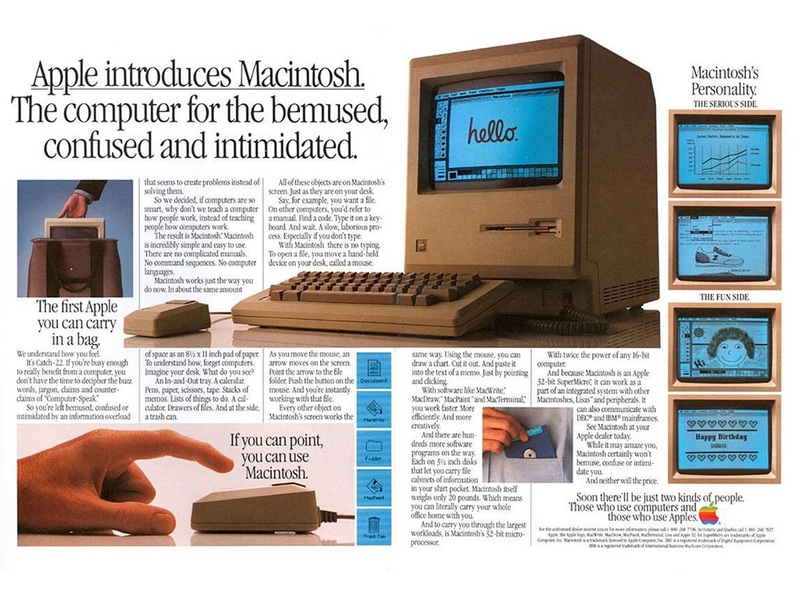 Check out the macmothership.com site to see Apple ads and brochures from 1976 to 2002.